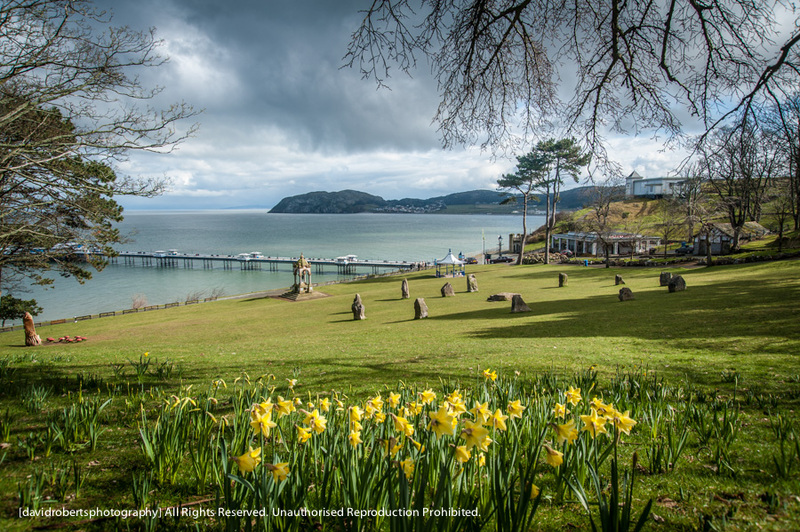 Daffodils in Happy Valley, Llandudno. The Happy Valley is a sheltered hollow on the eastern side of the Great Orme. It is a CADW listed public park and was dedicated to the town of Llandudno by Lord Mostyn in 1887 in celebration of the Golden Jubilee of Queen Victoria.